In need of new windows? Then look no further! Replace those old, cold, rusty and rotting basement windows with Freedom Slider Windows. We are an exclusive installer of the Freedom Slider Windows. These windows are all vinyl and maintenance free. There is no painting or rusting. A 3/4" insulated Low-E glass is standard. This particular window has a U-value of 0.34. The sashes are double-weatherstripped to protect from outside weather infiltration and are also removable from the inside. Both sash and frame are wept for superior water drainage to the outside. The windows come with a half-screen that is removable from the inside as well. The picture to the left depicts a standard basement window size, however we are more than happy to special order any size window you may need. 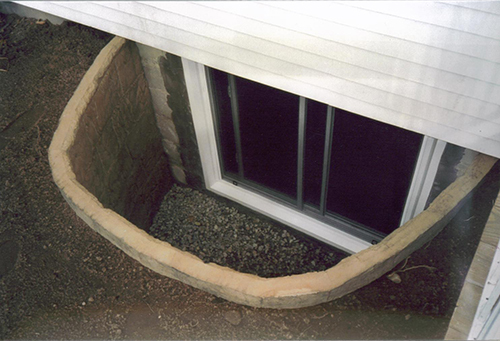 We can also build window wells around your basement windows. 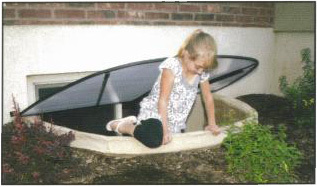 These wells allow you piece of mind insuring that your family can escape from your basement if the event of an emergency arises. Rockwell Window Wells offer true texture matching that looks and feels like real stone. No need for unattractive window wells when you choose Rockwell. 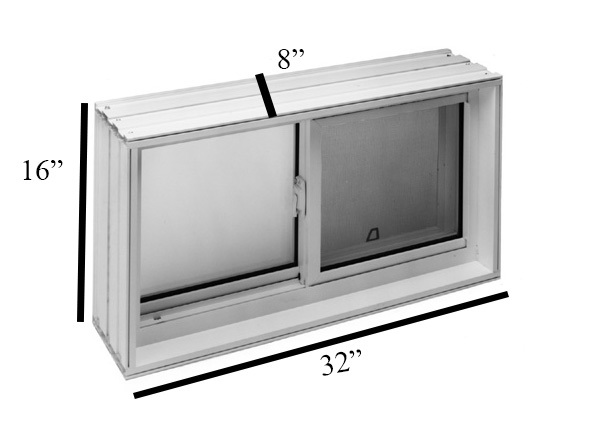 Installation is simple and Rockwell Window Wells weigh less than steel window wells. Rockwell Window Wells are made from a rigid composite construction and are rust and rot proof. 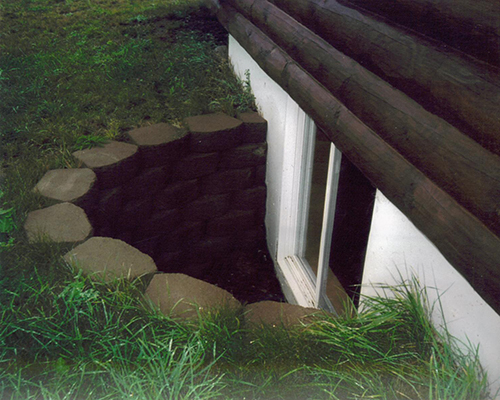 These window wells are UV stable and are also resistant to water, frost and extreme temperatures. 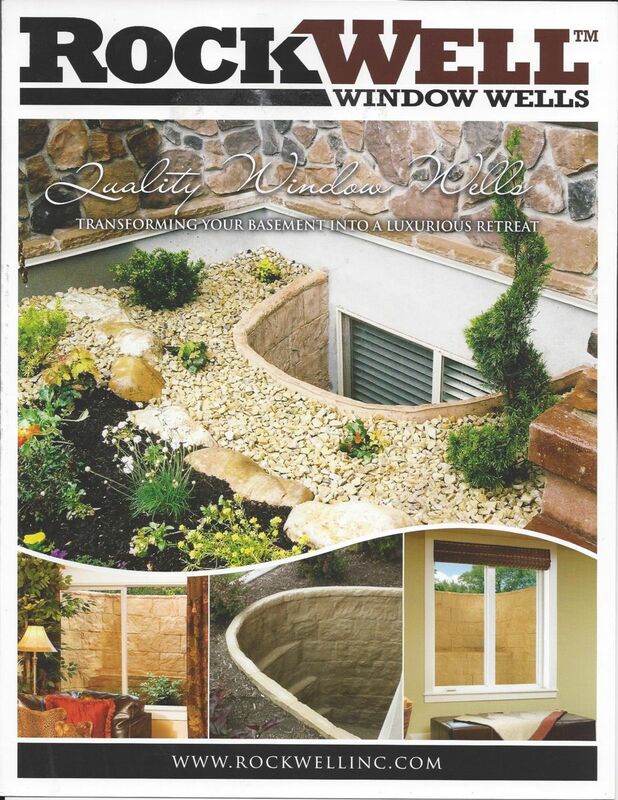 Please view our PDF brochure about Rockwell Window Wells here.